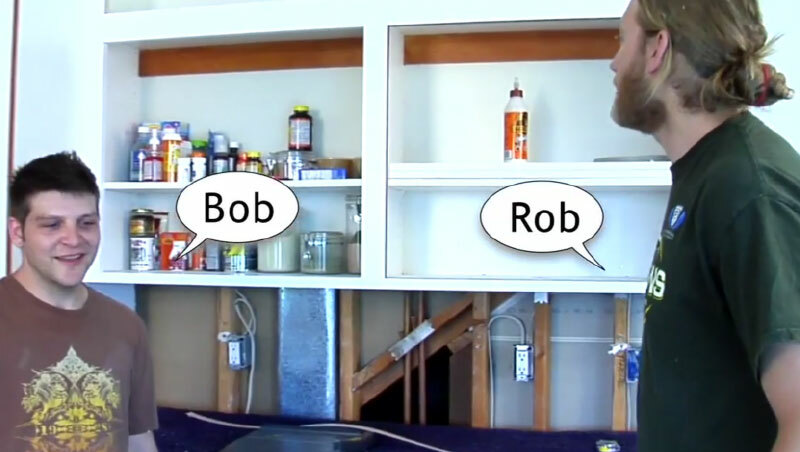 Let our experts Rob and Bob take you through all the steps for DIY kitchen cabinet refacing. We start with taking measurements and ordering doors through our Outside the Box diycabinetdoors.com site, then demoing and refacing the kitchen cabinets. Learn about our tricks and tools of the trade here! Learn how to take measurements of your cabinet box so you are able to order the correct door sizes for your DIY kitchen cabinet refacing project. In this video, we will create a drawing of the cabinets that will be refaced and measure each opening (width x height) to get dimensions. 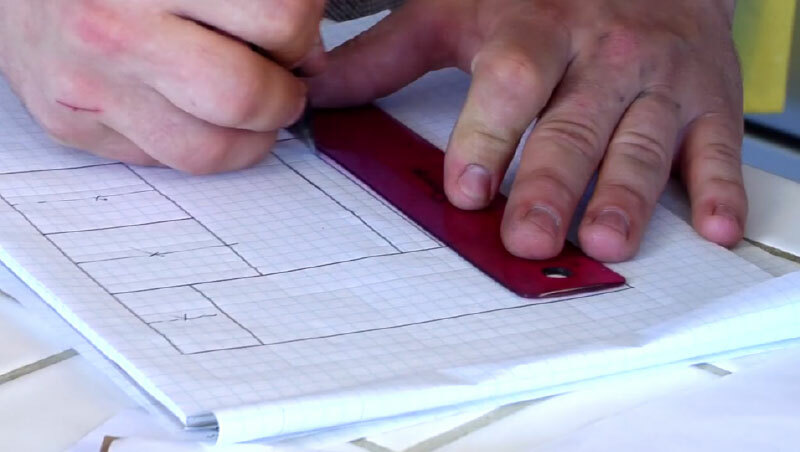 From there, we calculate the door overhang. You have to do more than just replace your cabinet doors. The wood and stain most likely will not match your original cabinet box. In this How-To video, we show you how to measure for our 1/4 inch wood skins that will go over the cabinet box directly. Moldings and trim are great accents that are also used to hide imperfections such as walls not being perfectly straight. Learn how to measure your cabinets in order to know how many sticks of molding and trim you will need to order. 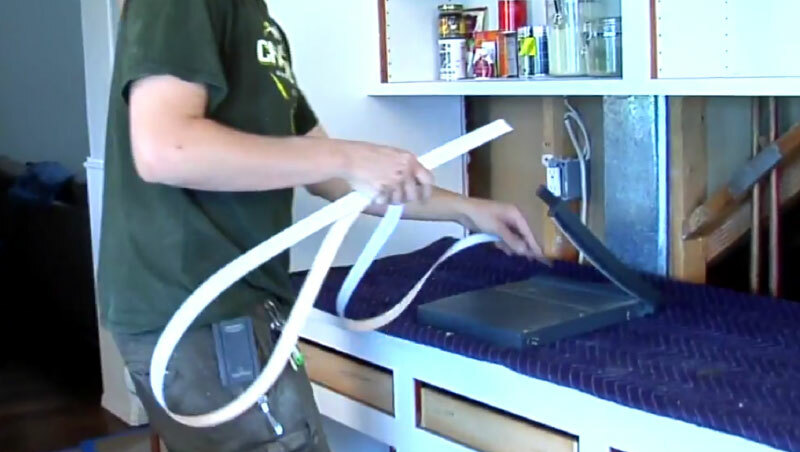 For replacing your drawer boxes, follow this How-To video in order to get accurate measurements. In order to get the most accurate measurements possible for your new drawer boxes, remove your drawers completely during the measuring process. No two kitchens are alike. Because every kitchen is unique to the house it was built in, there may be interesting areas that you will have to consider when refacing your kitchen. Learn about some of these possibilities here. Once you’ve taken all measurements, it’s time to buy your cabinet doors, drawers, and refacing materials! And now for the fun part: demo! Learn how to take apart your cabinets to reveal the bare cabinet box. From there, we will show you how to prep your cabinet box for the refacing process. Before we can put on the doors, we will have to make sure the cabinet box is finished properly. 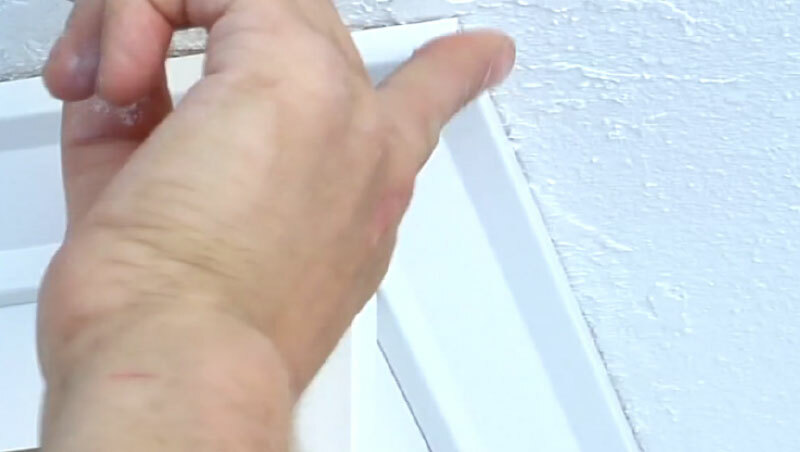 In this How-To video, learn how to prep and apply our 1/4 inch wood skins on your cabinet box. In this video, we finish up the cabinet skinning by installing the End Panels and then move on to molding. We cover crown molding, toe kick, scribe, and corner cap molding. This is how you can keep your cabinet refacing a secret. 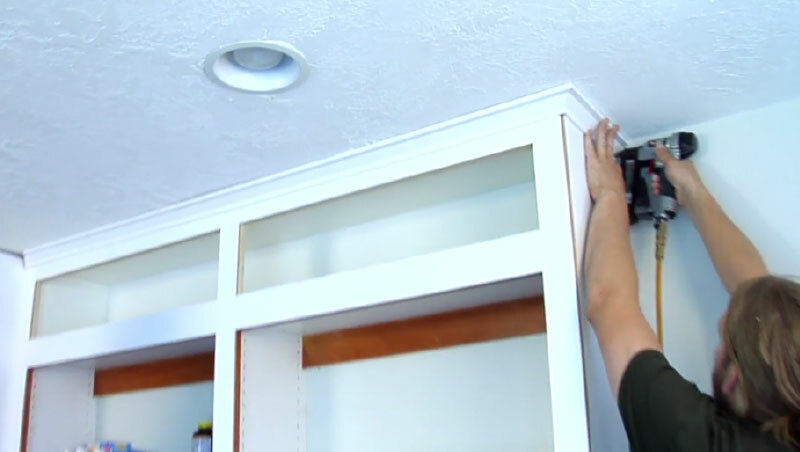 Installing edgeband hides the original cabinet box, giving the illusion of a total cabinet remodel instead of just cabinet refacing. 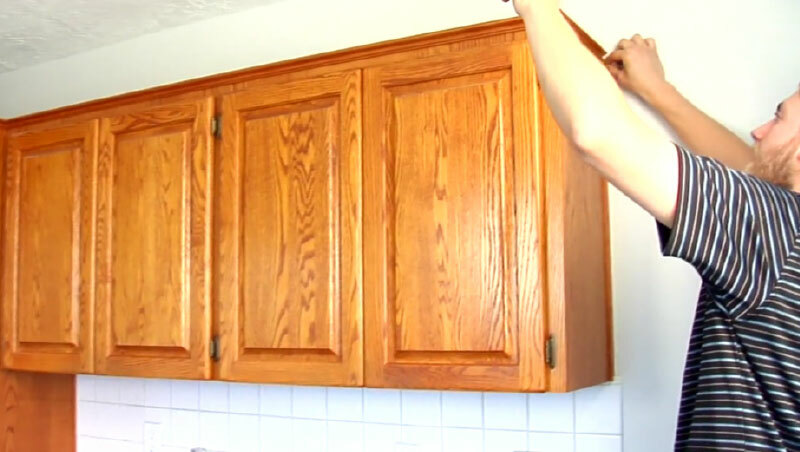 In this How-To video, we show you how to do touchups on you cabinet box. Being as precise as you can in previous steps will reduce the amount of touch-up necessary. However, no matter what there will be some touch up left to do. We go over a quick summary of what we’ve done so far from measuring to cabinet refacing. Follow our trusted steps for a great result in your DIY cabinet refacing job. Once all previous steps are completed fully, you can move on to Part 3. Now that the 1/4 inch wood skin and molding has been installed, it is time to hang doors. 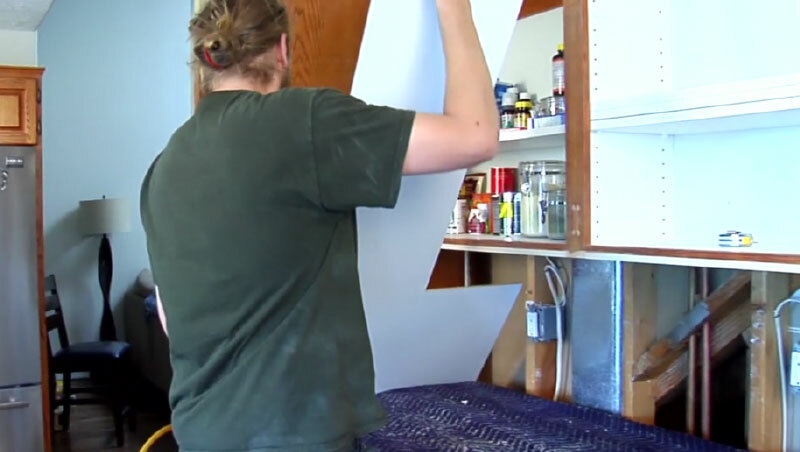 In this How-To video, we cover how to install the hinges and hang the doors on the cabinet box. Now that the doors are hung, it is time to adjust them. Learn how to correctly adjust your doors so they sit correctly against your cabinet box with easy adjustment of the hinges. Easy to install and clip-in, these Blue Motion under-mount drawer glides give you access to the full depth of the drawer! Learn how to install them and get better use out of your cabinet drawers. 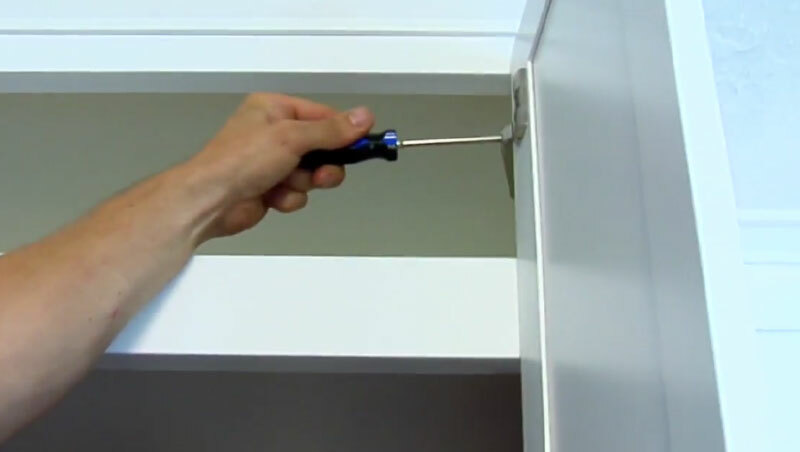 Learn to install the fronts to your cabinet drawers. This is the final step! If you have any questions regarding this process, please contact us using our contact form or call us at 1-844-818-3357.